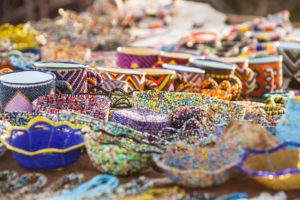 Il Ngwesi Lodge contributes to developing the local communities by supporting education, health and livelihoods projects, by providing jobs and business opportunities with surrounding tourism and other businesses. 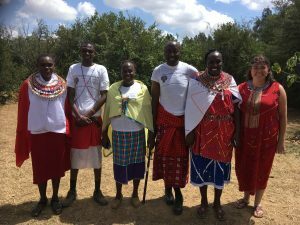 There are six Maasai villages in Il Ngwesi Group Ranch, all rooted in a traditional pastoralist lifestyle. 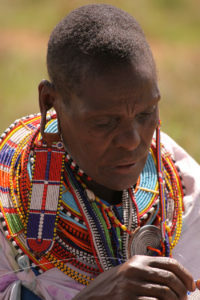 Since the mid 1990s, profits from the lodge and generous donations from visitors and well-wishers have contributed to secondary and university school fees and provided funds for local school buildings, health personnel and buildings, and enabled the community to buy additional land to ease grazing pressure. 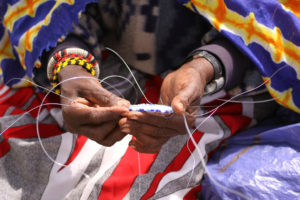 And through a partnership with VSO Jitolee in Kenya, funded by the European Commission, a women’s livelihoods initiative has empowered many local women by supporting them to produce beadwork for local and national markets, set up the shop at the lodge and build up a fund to run the business. 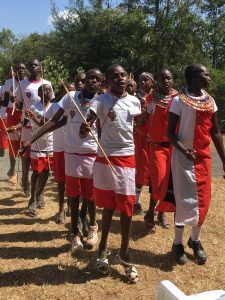 How you can help: It remains essential that the community benefits from the lodge if they are to continue to support the use of valuable grazing land for wildlife conservation and tourism. The best way for you to help is to visit us! Your conservation fee goes straight to the community and profits from your visit help us to run the lodge. But you can also donate to community projects currently working on girls education and youth empowerment. We are also seeking funds to upgrade the provision of water and solar to improve our eco credentials and source funds to replace our safari vehicles. 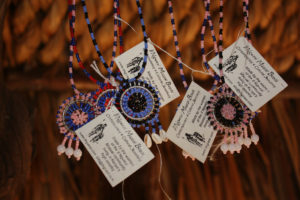 If you would like to support these projects, please contact the Lodge Manager lodgemanager@ilngwesi.com. The Mukogodo Girls Empowerment Programme has teamed up with Quinnipiac University and Il Ngwesi to deliver youth empowerment camps to teach young people about reproductive health, girls rights and community development. 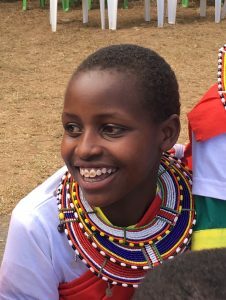 A further programme linked to Kenya’s national ‘Days for Girls’ programme also operates in Il Ngwesi in partnership with the Kenya Health Care Initiative. This programme produces sanitary packs to help girls to attend school at all times, and trains women to produce and sell the packs, empowering them with an income. You can support all these life changing initiatives. Please contact the lodgemanager@ilngwesi.com.